A new group, the Montreal Irish Memorial Park Foundation, asks for support to create a new park at the Black Rock. The park would provide green space and honour the immigrants who died of typhus in 1847-48, and those who helped them. Irish Commemorate Stone, the Black Rock. Montreal. Photographer: André Pichette. Montreal Gazette. 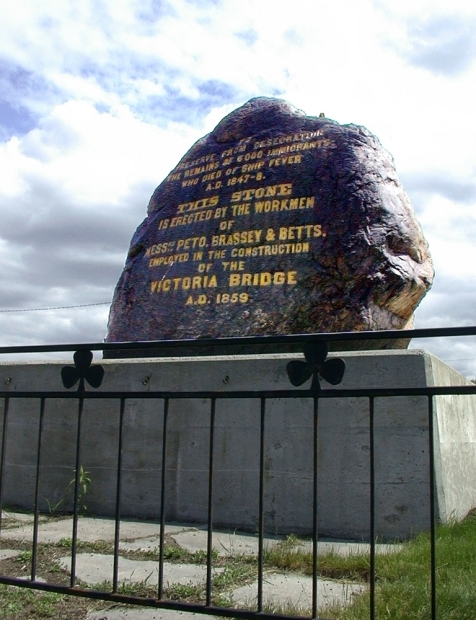 The Black Rock, also known as the Irish Commemorative Stone, is a monument in Montreal near the Victoria Bridge. During the mid-19th century, workers building the Victoria Bridge across the St. Lawrence River discovered a mass grave in Windmill Point where victims of the typhus epidemic of 1847 had been quarantined in fever sheds. The workers, many of whom were of Irish descent, were unsettled by the discovery and wanted to create a memorial to ensure the grave, which held the coffins of 6,000 Irish immigrants, would not be forgotten. The Black Rock is currently in a desolate area, almost impossible to reach because of busy traffic on either side. A few years ago, there was talk of creating a park around the monument so people could visit it and relax. That never happened. More about the proposed project and the Foundation is available in an op-ed article in the Montreal Gazette, written by Mr. Keyes. 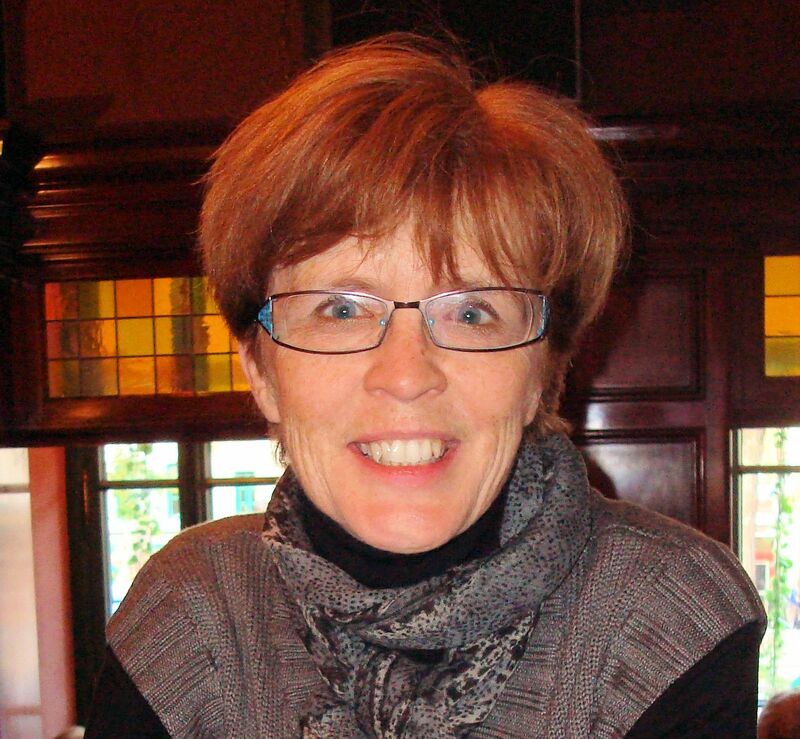 You may contact Mayor Coderre through the City of Montreal’s website here. This entry was posted in Montreal and tagged Black Rock, famine, Irish, Montreal Irish Memorial Park Foundation. Bookmark the permalink.